As party leaders strike out on the general election trail, the Low Pay Commission are considering a 50 pence boost to the National Minimum wage to £7 per hour. 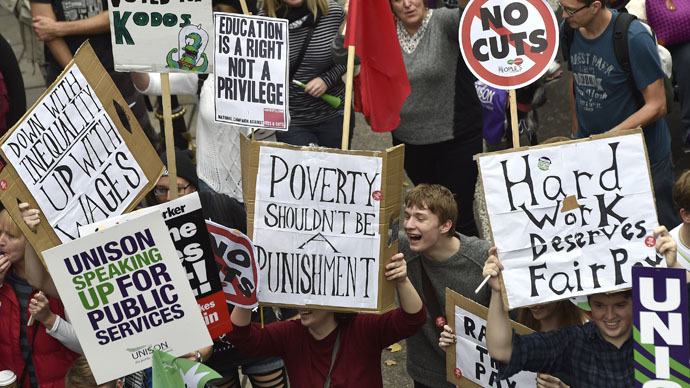 While the Labour Party pledges £8 per hour, critics say this falls short of living costs. The living wage will be among the key issues in the run up to the general election in May. While the economy has shown some visible signs of recovery, and joblessness has fallen, wages have failed to keep pace with inflation. Commissioners, including academics, representatives of business and trade unions, will meet before the election to agree on their recommendations. Currently, the adult minimum wage in the UK stands at £6.50 per hour. It was raised from £6.31 last year. The new wage rate will be officially in force from October 2015. However, analysts have concluded that, if the minimum wage had kept pace with inflation since 2006, it would today stand at £6.99 per hour. While the £7 offer appears generous on face value, this is merely a figure where the wage ought to have been. Although the adult national minimum wage may increase, apprentices and interns may not feel its benefits. “Interns would be paid at least the national minimum wage after four weeks,” Miliband claims. On Monday, Miliband told party activists in Manchester about his plans to tackle low pay. “All those who go out to work are as important and valuable to our country as those who get the six figure bonuses. That means raising the minimum wage to over £8 an hour and dealing with the scandal of zero hour contracts,” said Miliband. The proposed minimum wage hike has not won the backing of the entire business community, however, particularly in the retail sector. Speaking to RT, Occupy Democracy activist Simon Morris said: “Some supermarkets and retailers on our high streets pay their workers so little they live in poverty despite having a full-time job." In 2014, a report by the Institute for Fiscal Studies (IFS) claimed 23.2 percent of Britons were now in relative poverty, the highest since 2001. “This is at a time of record profits being recorded by trans-national corporations despite the often quoted political message that ‘we are all in it together,’” Simon added. While supermarket profits have continued to grow, the number of food banks across the UK has exploded. Some 913,138 people received three days’ emergency food from Trussell Trust foodbanks in 2013-14 compared to 346,992 in 2012-13. “These numbers help illustrate the ever-widening gap of inequality between rich and poor and the serious danger that the 10.6 million people living in relative poverty are in,” Simon concluded. Ministers are expected to receive the Commission's recommendation in February before agreeing a figure.